The economies of the eurozone countries are plagued by multiple crises, which cast major doubts over the future of the euro. 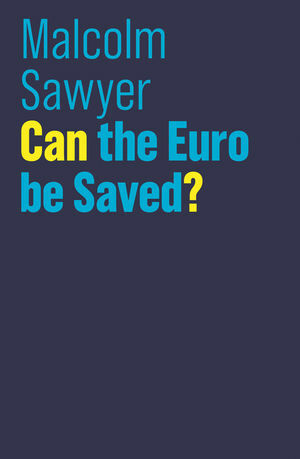 In this engaging new book, leading economist Malcolm Sawyer argues that the entire policy framework of the eurozone was fundamentally flawed from its foundation. He shows how these ‘design faults’ intensified the crisis and are now locking in perpetual self-defeating austerity. Sawyer proposes a bold alternative agenda for reviving the continent’s economic prosperity and saving the euro. He argues, however, that the required solutions are certain to encounter huge obstacles. He therefore concludes that Europe faces a bleak economic future, blighted by low growth, high unemployment and social division. This major contribution to one of the key economic debates of our time will be essential reading for everyone interested in Europe’s future. Malcolm Sawyer is Emeritus Professor of Economics at Leeds University Business School. "For an open-minded, clear and analytical discussion of the problems of the euro and the eurozone, the reader can do no better than Malcolm Sawyer’s book. Whatever one’s position on the single currency, this is a must-read."